MARVEL fans, it's hard to believe that Marvel Studios has been around for 10 years! Suit up today and enter the Marvel Studios’ 10 Years of Fandom Sweepstakes for a chance to win a private screening for you and up to 100 friends to see Marvel Studios’ Ant Man and The Wasp at your closest Regal Cinema! 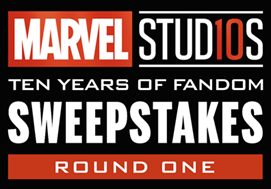 The Marvel Studios’ 10 Years of Fandom Sweepstakes will run through October 31, 2018 with new heroic prizes announced on June 29 and July 31! Enter here. No Purchase Necessary. 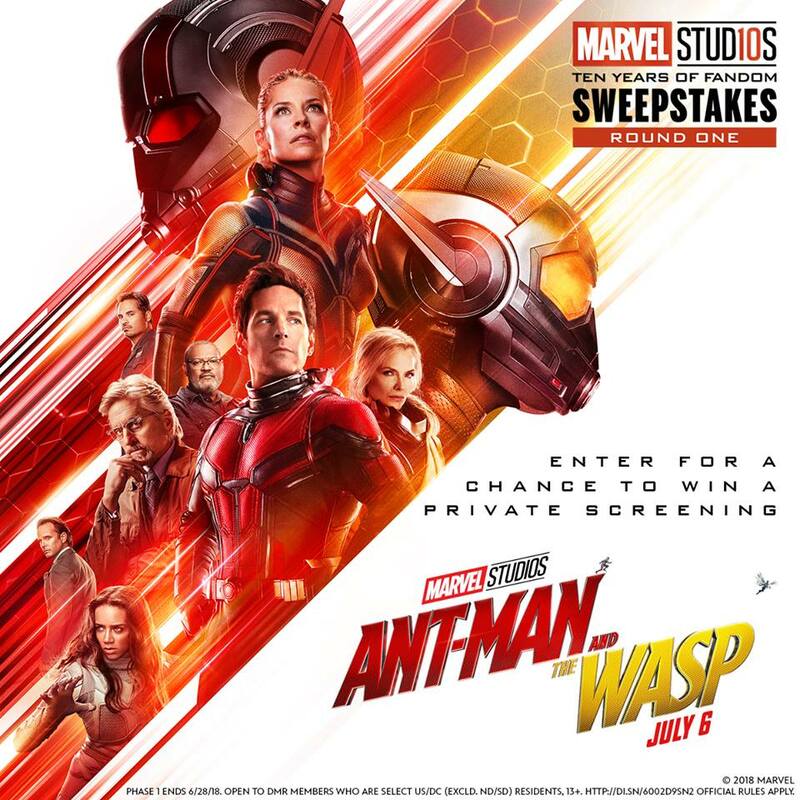 Sweepstakes Phase 1 starts 6/4/18, ends 6/28/18. Open to select DMR members who are legal res. of US/DC (excld. ND/SD). Click HERE for complete eligibility, free method of entry, odds, and rules. Void in ND, SD & where prohibited. *Mommy's Block Party is in no way affiliated with this sweepstakes. We're simply sharing for our Disney/Marvel fans!